During the time that the OM system was in production (1972–2003), Olympus produced 4 different ranges of compound microscopes. 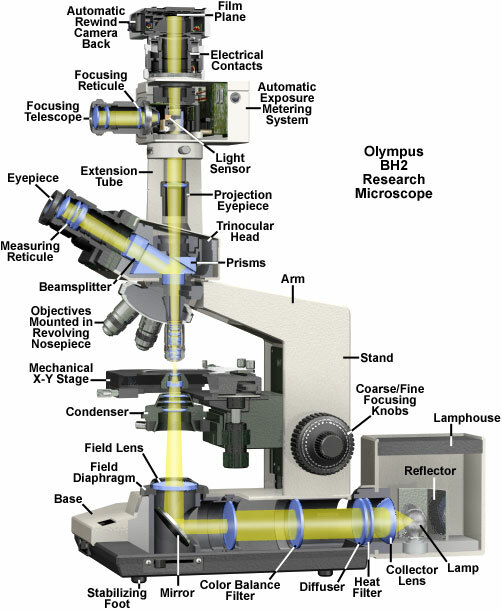 Olympus BH-2 BHS Research Microscope Cutaway Diagram – copyright Olympus America Inc. The fourth range includes the current BX and CX models, which use infinity-corrected objectives, and for which the PE photo eyepieces are matched. Searching Google or other search engines for the word “Olympus” and the bulb reference will find several suppliers, but they all seem to be in the USA. Allen screws are likely to be metric rather than Imperial.